The content of this website have been created with meticulous care and to the best of our knowledge and is provided for information purposes only. Somers Construction makes no warranties whatsoever about the accuracy, reliability or authenticity of any information or material contained in this website, and accepts no liability whatsoever for direct or consequential loss or damage to any person in connection with the information or advice (or the use of such information or advice) which is provided on this website or incorporated into this site by reference. Information is provided on the basis that all persons accessing the site and any linked site do so at their own risk and undertake responsibility for assessing the relevance and accuracy of any and all content. No responsibility is taken by Somers Construction for any information or services which may appear on any linked website, nor does it endorse any company, organisation or product referenced in, or linked to, this website. Our website contains links to web pages of third parties (external links). As the content of these web pages is not under our control, we cannot assume any liability for such external content. The responsibility for the content of external links lies solely with the operators of the linked web pages. At the point in time when the links were placed no violations were evident to us. We will remove external links at the moment any infringement of the law becomes known to us. A visit to our website can result in the storage on our server of information about the access (date, time, page accessed). This does not represent any analysis of personal data (e.g., name, address or e-mail address). If personal data are collected, this only occurs – to the extent possible – with the prior consent of the user of the website. We will not forwarding any of the data to third parties without the express consent of the user. We would like to expressly point out that the transmission of data via the Internet (e.g., by e-mail) can offer security vulnerabilities. It is therefore impossible to safeguard the data completely against access by third parties. We cannot assume any liability for damages arising as a result of such security vulnerabilities. The use by third parties of all published contact details for the purpose of advertising is expressly excluded. We reserve the right to take legal steps in the case of the unsolicited sending of advertising information; e.g., by means of spam mail. Our website might use so called Social Plugins („Plugins) of the social network facebook.com, which is operated by Facebook Inc., 1601 S. California Ave, Palo Alto, CA 94304, USA (“Facebook”). The plugins are identifiable by one of the Facebook logos (white “f” on a blue background or a “thump-up” sign) or are identified by the phrase “Facebook Social Plugin”. The list and the look of Facebook Social Plugins can be found here: developers.facebook.com/plugins. Purpose and detail of the data assessment and the further use and analysis of the Data through Facebook and your thus related personal rights and control functions to protect your private data can be found in the data disclaimer of Facebook: www.facebook.com/policy.php. If you are a member of Facebook and do not want Facebook to collect your data via our website and stores it in relationship to your Facebook member account, you will need to log out of Facebook prior to the visit of our website and you may also have to delete any related cookies stored locally by Facebook. 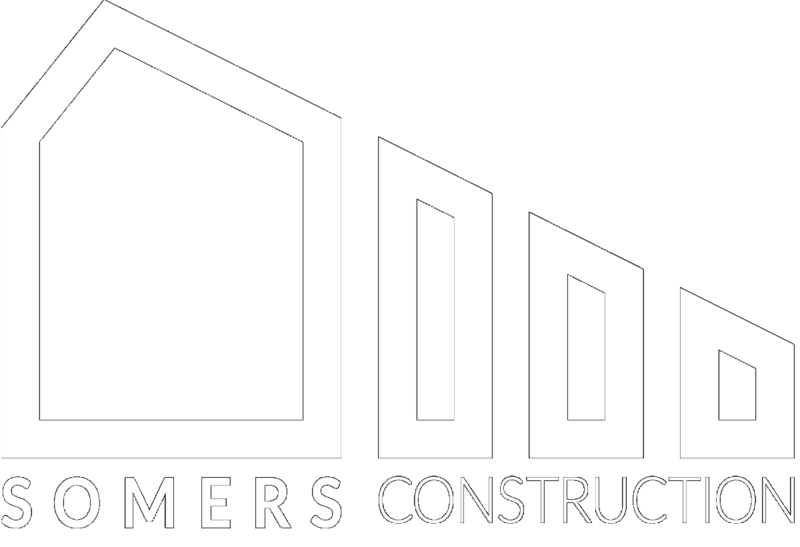 Copyright of content and design in, or anything appearing on, Somers Construction's website, including all text, logos, diagrams, audio and images in whatever format, is owned by Somers Construction. Any duplication, processing, distribution or any form of utilisation beyond the scope of copyright law shall require the prior written consent of the author or authors in question.